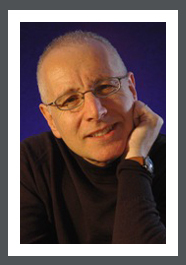 Malcolm Levene, has been a Personal Branding coach for 20 years. He teaches people how they can significantly improve their business skills, their life-skills, and their businesses by developing their very own Personal Brand. His private clients have included Tony Blair, Alastair Campbell, Michael Marks CBE, Michael Gove MP and notable individuals from the world of business, politics and entertainment. As a Personal Banding Coach, Malcolm works with businesses and individuals to help them project an authentic Personal Brand, a Brand that accurately portrays who they are from the inside out. He offers his extensive experience to enable people to attain their goals, maintain focus and be highly effective in their day-to-day interactions. Malcolm’s corporate clients include Prudential, Deutsche Bank, Tesco, Citigroup, Robert Walters PLC, Nestle’, Volvo, The Bank of New York Mellon, KPMG, Old Mutual and McDonald’s. As a passionate advocate of authenticity as a key to success in life and in business, Malcolm writes and speaks publicly about the subject. He has written two self-development books, both of which have been published in the UK and the USA, 10 Steps To Fashion Freedom and Ellie Hart Goes To Work which has been translated into four languages. He also writes articles for business magazines, focusing on Personal Branding for success. Malcolm has been profiled in The New Yorker, The Independent and The Observer. He is frequently quoted by the Press and has appeared on television as an expert regarding Self Development for Business Success, Identity and Personal Branding both in the UK and the USA. In a previous business life, Malcolm owned and ran the MALCOLM LEVENE retail fashion business in London’s West End. His retail experience enables him to understand the relevance of the customer experience and how important it is for any business to create long-term customer loyalty and trust. In the mid-eighties, the MALCOLM LEVENE shop was considered to represent the gold standard in Customer Service.